Congressman David Dilbeck: [while Erin is stripteasing for him on his private boat and making conversation] I can't do that! This film begins with a woman named "Erin Grant" (Demi Moore) arguing for custody of her young daughter before a judge. Unfortunately, the judge rules against her because of her current occupation as a stripper even though she has explained to him that she was fired due to her husband's criminal misconduct. Not long afterward, while performing her routine at the stripclub, a brawl occurs involving a person who just happens to be a morally flawed United States Congressman named "David Dilbeck" (Burt Reynolds). Yet, even though he was wearing a disguise to hide his true identity, he is still recognized by a couple of people. And this creates a huge problem for them as Congressman Dilbeck has surrounded himself with people who are intent on keeping him in power and are willing to take whatever measures are necessary to keep his reputation intact. And their ruthlessness becomes even more pronounced as his lust for Erin increases-with those able to identify him becoming prime targets. Now rather than reveal any more I will just say that this was an extremely uneven film due in large part to the ambivalent direction, meandering plot and horrific acting of Burt Reynolds. 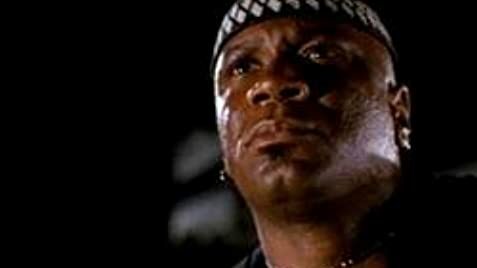 On the other side of the equation, I liked the performances of Ving Rhames (as the bouncer named "Shad") and the aforementioned Demi Moore who I thought was absolutely sensational. That being said, in spite of the rather obvious flaws, I still liked this movie to a certain degree and I have rated it accordingly. Average.